websites and digital marketing for the mortgage industry. Vonk Digital Mortgage Websites do not require any technical set up from you. When we launch your website you will be off to a great start. We take care of all the heavy upfront work. For the more tech-ambitious originators our mortgage websites offer unmatched customization. 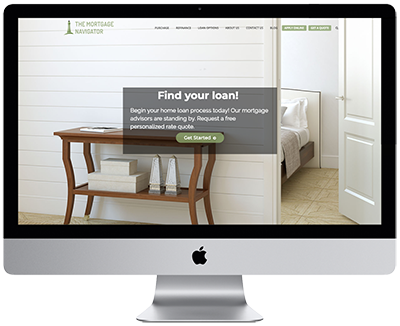 We even offer semi-custom mortgage websites allowing clients to make their site look virtually however they want. Our mortgage websites give clients easy content editing ability. By no means is a technical understanding of web design needed. Our drag and drop page builder requires no coding skills. Control your brand with a true marketing hub. Our website solution will be the base of all your marketing efforts. We strive to create cost effective and easy-to-use mortgage websites. We help to enhance marketing efforts for mortgage companies and loan officers. Launch within a week and start getting your superior online presence out there with a Vonk Digital Mortgage Website. Vonk Digital Mortgage Websites contain everything you need for your online mortgage marketing strategy. You will be able to easily create blogs, convert visitors into leads, integrate with social media, monitor site traffic and sources, optimize for search engines and much much more! Keeping up in the ever-changing digital age is not easy. We know you don’t have time to manage your book of business and learn all the latest marketing strategies. That’s why we are here to do it for you! Your website should be a reflection of your professionalism with the power to drive in business. Do it all from just one platform. Stand out to your clients and competitors with a superior mortgage website. It’s important for your website to be able to capture information. Our sites are designed to capture potential client information. Turn your website into a marketing engine by adding the right tools! Our Street Credit software will help you build online credibility and trust! 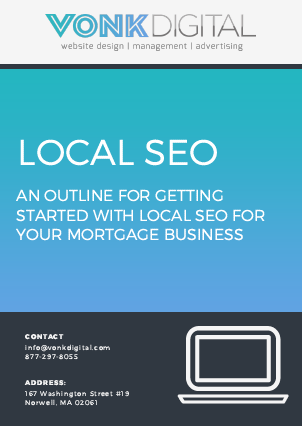 A mortgage website needs to be SEO friendly and also be a great marketing tool. Our websites have built in SEO management tools! For those that want to be hands off, we offer a mortgage website seo service! While you are selling home loans, we are your marketing team. We are an extension of your business that is here to help you will all things digital. Whether you want us to do the work or just want to get our opinion, we are on your team. We have been building mortgage websites and helping companies grow since 2011. We have customer service like you have never experienced. It will feel like you are cutting the line at disney world. We are always hunting for the best technology to pair with our websites. We host on secure dedicated servers and backup all websites every 24 hours. Get access to actual marketing expert advice. We offer free training webinars and content to our clients. When it comes to design and user experience, we do not cut corners. With Vonk Digital you get the best mortgage website platform on the market. We never stop evolving our product. 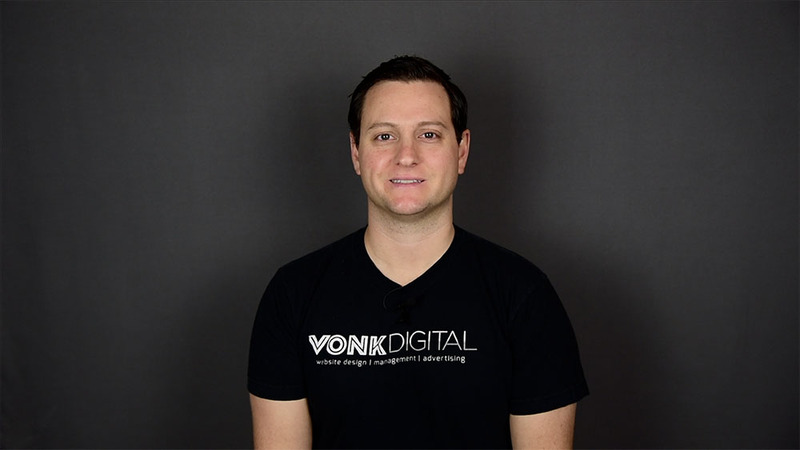 Vonk Digital is working closely with today’s industry leading originators of all sizes to constantly develop new website features and improve old ones. Let’s dominate together! Originators of all sizes need to build their mortgage marketing efforts and new business development on a sound foundation. Our clients use our websites and all of the features to be successful. Below are just some of our website features! View the rest of our mortgage websites features on our features page. Drag and drop design control. Take back control of your website design. Page builders make editing a breeze. It is 2019, websites must be 100% mobile friendly. Built in SEO management tool. Easily optimize your pages correctly. Content is king, create as much as possible. Lead forms should feed into your CRM or mailing list. Easily build custom lead forms. Different ad campaigns need different lead forms. Create as many as you need. Automate getting reviews, sharing them on your website, and getting notified of new reviews. Share important news, improve your SEO, and email your contact list at the same time. Secure online mortgage pre-qualification form. Allow clients to conveniently apply online from any device. Fully secure hosting and SSL included. All websites should have an SSL Certificate. We run full backups every 24 hours and keep 90 copies of every website.